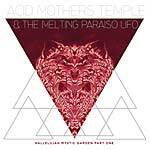 "Acid Mothers Temple returns with a new release, their fourth for the label. 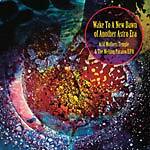 The album is made up entirely of new studio recordings that have captured the band in fantastic form. The band is captured flying at full speed dishing out three slabs of Turkish psych meets Krautrock, served up Acid Mothers Temple style. The opening cut, 'Eleking The Clay' is a smoker that bears some resemblance to their well known 'hit,' 'La Novia.' The speed guru, a.k.a. 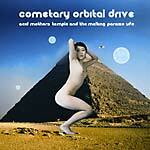 Kawabata Makoto, is on fire and mesmerizes us with his speed and furry on this track. His guitar playing is so quick it becomes difficult to differentiate the actual notes being played as you are overtaken by the speed and repetitious nature of the track. In this respect it also brings to mind their fantastic rendition of the Terry Riley's minimalist anthem 'In C.' The same notes repeating over and over until they start to coalesce and take new shape. Next up is a short piece written by bass player and multi-instrumentalist Atsushi Tsuyama who is credited with playing monster bass, voice, acoustic guitar, alto recorder, flute, toy trumpet and kazoo. If you have ever witnessed the band live, you are aware of what a huge presence bassist Atsushi Tsuyama is within a live context and it is equally the case on Lord Of The Underground. 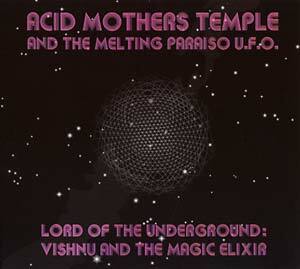 This track, entitled 'Sorcerer's Stone Of The Magi,' serves as an intermission if you will; it is a nice gentle piece of outsider folk that allows you brace yourself for the epic closing track 'Vishnu And The Magic Elixir.' The final cut takes it's time to deliver its message and sees the band in familiar territory. Here they play with some of their more playful influences, such as Frank Zappa and Incredible String Band, and blend them with their patented spaced out electronics that have graced many of their records."